My musings on art and life…. ← Finish It up Friday ~ Modern Diamonds! Have you ever been told you are a No-Reply Blogger? Yeah, me too. If you blog using Blogger or you have a gmail account, there are fixes. Many, many posts have been written to show how you can fix this issue. However, these will NOT work if you are a WordPress blogger and do not have a G-Mail account! If you want the short version of the story, check out these quotes. The only current work around I have found, requires me to get a G-Mail account, create a Blogger profile, and respond to comments from there. So while I love you all, love reading your blogs, and leaving you comments, I am not going to create G-Mail and Blogger accounts in order to NOT be a no reply blogger. The fact of the matter is, I do not want any more accounts than I already have. I also will not comment at all if it means the extra steps of logging in and out of additional accounts to do so. I am too lazy for that and my time is valuable. I am not ever offended when people do not respond to the comments I leave on their blog! Ever! And if I really want a response, I leave an e-mail addy in my comment. So there you have it. I don’t mean to come across snarky. And I appreciate people taking the time to let me know that I am a NRB, but that isn’t going to change. PS The picture at the beginning of this post has absolutely nothing to do with anything written here. I just can’t have a post without a quilt picture! I am a wife, mom of four amazing kids, and a librarian. I have been making traditional quilts for ages but have ventured into art qulting in the last several years. I also love to knit socks and mittens and dye my own fabric. I am thankful to God my Father and Creator for the gift of creativity! Because I am not a blogger your explanation went over my head. I had to comment on the quilt though. 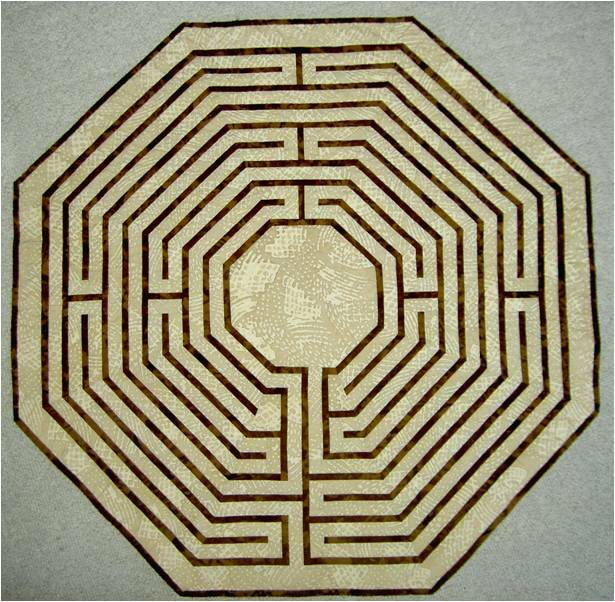 It is fabulous, and yes I had to trace through it to se if actually was a maze. Lol. Love it! I so enjoy all of your posts and totally amaze me with the amount of quilting you get done. Thank you for sharing! Interesting info, Katy. Thanks for sharing. However, most of the “no-reply” comments I receive are from people who have google accounts and don’t even realize why they aren’t getting replies. They are unaware of their setting options–especially those that are Google+.. Thank you for the explanation. Not being a blogger I didn’t realize you could not reply…..but it never has bothered me….I’m used to talking to myself!! Love following you and I’m really glad you finished Brinton Hall! It is gorgeous! Thanks for explaining it! I had no idea it worked this way. PS: And it is an amazing quilt! Thank you! I caved to the pressure and fixed the issue, but I didn’t like having to do it. Like you, I also don’t like having to log in to post a comment. I do have a Gmail account, but hate having to log in to post. I never stay logged in to any online accounts, as I feel it isn’t safe. Thanks again for sticking up for the other guys. What a Load of Scrap!